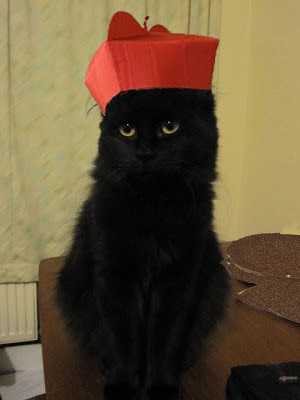 After all, if people are silly enough to think women can be Cardinals, why not cats? It has been a busy end to the half term holiday, but I've been good, and have managed to upload various photos to Flickr before the madness of term time descends once more. This was a more onerous task than one might think, as, for some reason, I had to load the photos in batches of six or seven photos to avoid the uploader crashing in a sulking fit. I started playing about with my phone settings (after Mass, I hasten to add! 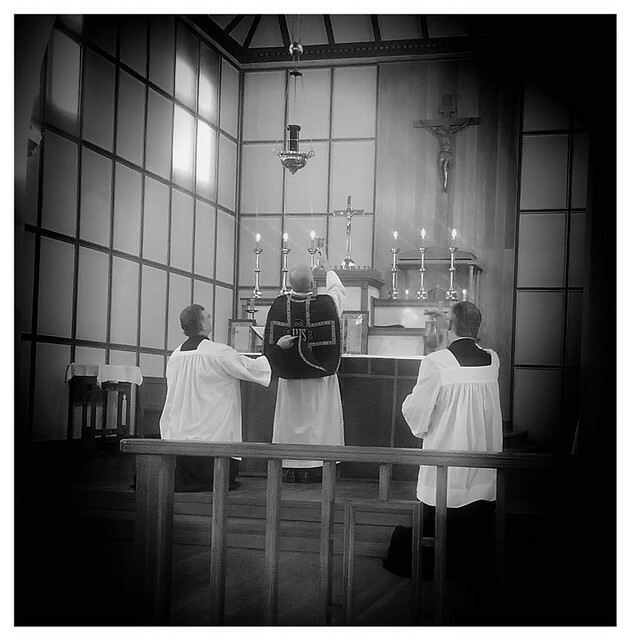 ), and managed to produce the photo on the left (from the Mass for All Souls) - and think I might try to experiment a little more with sepia tones and black & white photos. Anyway, I have different sets up on Flickr for general perusal. There were the photos from Halloween (well, ok, First Vespers of All Saints), then the photos from the Missa Cantata celebrated on the Feast of All Saints. Yesterday we had Blackfen's monthly First Saturday Missa Cantata which, fortuitously, was the Commemoration of All Souls. And today was the annual Prayers for the Dead at the local cemetery, along with the blessing of graves.